Best of the week: news and reviews 10.08.13 | What Hi-Fi? 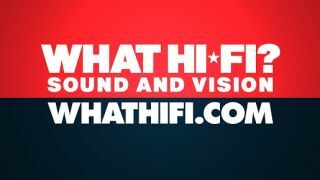 This week on Whathifi.com we reported on exciting new products from Meridian and Q Acoustics, plus LG's unveiling of its new G2 flagship smartphone, the first mobile phone to suppot hi-res music. We also saw Vodafone announce its 4G network as they gear up for a late August launch with free Sky Sports Mobile TV and Spotify subscriptions on offer. Reviews this week included Ruark Audio's MR1 desktop speaker, Sony's BDV N7100W home cinema system and the Pure Digital Evoke 2 radio. And don't forget, the September issue of What Hi-Fi? Sound and Vision is on sale, available online, on tablet devices and in store. Packed with the latest news and reviews to sate your hi-fi curiosity, we have Group Tests on soundbars, desktop speakers, Blu-ray players and more. Q Acoustics Q-BT3 wireless speakers: the modern mini system? Q Acoustics has announced the Q-BT3 Bluetooth wireless speakers, a pair of powered speakers that sport analogue and digital inputs, aptX Bluetooth streaming and are due on sale later this month for £399. The Q-BT3 speakers aim to deliver top-notch sound from a variety of sources via wired and wireless connections, and aim to take a bite out of the burgeoning soundbar market, with Q Acoustics claiming the speakers "comfortably outperform typical soundbars". The battle for smartphone supremacy rages on with Korean electronics giant LG the latest to unveil a new phone. Called the LG G2, the new device will act as the first of the company's G series of premium mobile devices. A nice little treat for audiophiles is the capacity to play 24-bit/192kHz audio files, reportedly a first for any smartphone. The phone's 5.2in IPS screen comes with a resolution of 1920 x 1080 (423 pixels per inch) and it's is fitted with a 3,000 mAh battery and a no less impressive sounding, super-fast 2.26 GHz Quad-core processor. A price and release date for the UK has not been announced, but LG did say that the phone will be rolling out to various countries over the next eight weeks. And another mobile device battle rages on, this time in the services sector with Vodafone upping the 4G stakes by offering Sky Sports and Spotify bundles. Launching on the same day as O2's offering, you can sign up or upgrade to a Vodafone Red 4G contract and choose between either free Spotify Premium or free Sky Sports Mobile TV as part of your deal – and it's free for up to two years, depending on the deal you choose. Vodafone's 4G network will launch in London first before making its way to 12 more cities by the year's end. Google's new music streaming service launched in the UK this week, bringing a Spotify-style streaming service to the existing Google Music web app. Sign up now and you can enjoy a free 30-day trial, and signing up before the 15th September will entitle users to a £7.99/month charge for access, and not the standard £9.99. Last year saw the Sony BDV-N590 take the Best cinema system award. This latest effort from Sony in the home cinema arena sees the N7100W step up to the plate. Will it knock it out if the park? Or will it fail to live up the high benchmark set by the N590? Our latest issue saw us review a bevy of radios. The Evoke D2 was one of a few that stood out from the rest. Knowing Pure's heritage as a radio specialist, it was perhaps inevitable that the company's latest radio would stand out from the crowd. And so it did. Well, we weren't expecting this. Having placed the Ruark Audio MR1 desktop speakers in a group test with an Award Winner (Epoz Aktimate Micro), and a previous Group Test Winner (Monitor Audio's Airstream WS100); the end result was one we didn't quite expect. With a lovely finish and an ability to generate fantastic sound from a small cabinet, the MR1s won us over. Read our full Ruark Audio MR1 review.